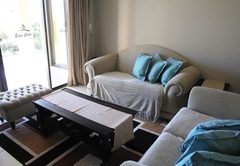 Bella Casa is a property providing self catering in Langebaan for up to 4 guests visiting the Cape West Coast region. 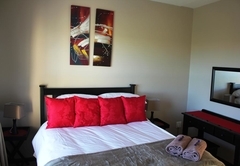 Situated on the popular Langebaan Country Estate, Bella Casa is a comfortable and modern two bedroom unit which offers self catering in Langebaan. 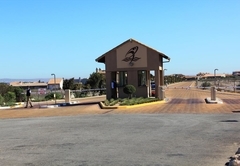 The Estate is situated halfway between Langebaan and Club Mykonos. Bella Casa is equipped for four guests. 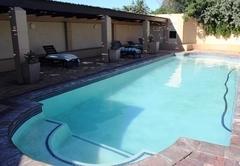 There are two bedrooms, the main bedroom is furnished with a Queen-size bed and has an en-suite bathroom. 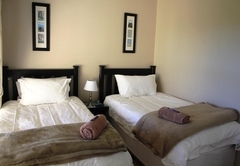 The second bedroom has two three quarter beds and makes use of a separate bathroom. 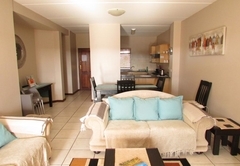 There is an open plan living area with comfortable furniture, a dining table and a well equipped kitchen. 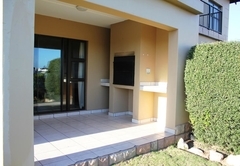 Outside you can enjoy sitting on the patio whilst making use of the built in braai and admiring the view. Guests have access to all Estate facilities which include a communal pool, the Gary Player signature golf course, beach access and watersports. 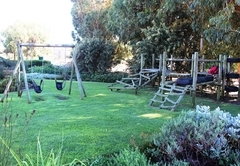 Bella Casa is in the Langebaan Country Estate. 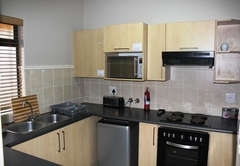 Self-catering unit for 4. 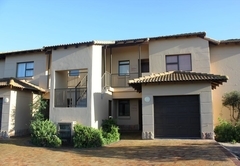 Situated on the ground floor of a multi-unit property with a single garage. Ideal for peaceful and quiet breakaways. Linen and towels provided. No pets! Response timeBella Casa typically responds to requests in 5-10 minutes. Check in times over the weekend and public holidays are 09h00 and 12h00. No check in after 20h00. A late check in fee will be charged on arrival.